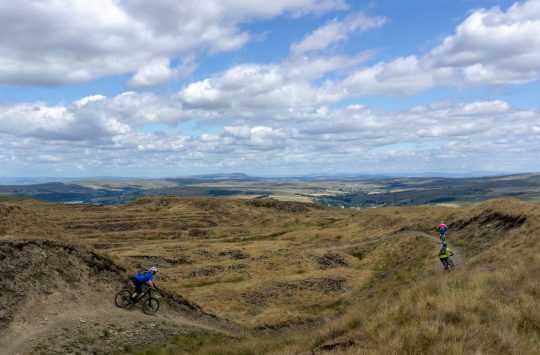 Last Friday saw us put on a Dry Run of the Shimano Singletrack Classic Weekender. The main focus of the day was the Downhill event. The course is a different course this year. It’s about 80% the same as last year’s with some alternative lines thrown in. 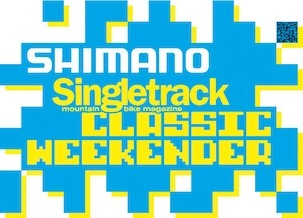 This year’s Shimano Singletrack Classic Weekender is the year of the Bonus. There’ll be some time bonuses awarded to those riders who opt to undertake certain lines and obstacles on the multi-line DH course. Is that 5 beeps then you go? Or is it like a DH race, where you can go within the beeps, but the clock will state when they finish regardless? Good call. Sorry for not being clear. It’s 5 beeps then you go. can only premier users comment here? I think it’s important to sort proper timing as per last year. I’m not one of them, but to many people the Saturday DH result is the important bit of the weekend – where that does come close on times. It’s not just about who comes 1st, but the difference between say 38/39th can be the difference between beating a mate or not. I can understand how you see it that the inaccuracy of timing wouldn’t effect the placement/penalties for the Sunday, but I think that’s missing the point when lots of people see the DH as their whole reason for the event. Thanks for the comment. Duly noted. I’ve just put this story as a thread on the forum too so that more than Premierists can have their say. Hmm ok, then I think you need a backup plan for what happens when someone goes during the beeps. Cos I’m sure someone will, as that’s normal for most other races! And folk will forget what they’ve been told when they’re sat focussed on the start line. i think proper timing made a nice touch for the event last year, but for me it isn’t the end of the world if it goes to manual timing. anything under 0.5 seconds will surely be accurate enough for correct xc start times on the sunday? correct me if i am wrong, please, but i do not recall any times in the DH last year where accuracy in the timing made any difference in the final results. what are the relative costs for a pucker timing system? is there any way of covering this with rider donations, specific sponsorship or something, or is that just too risky in terms of outlay against likely returns? Got to agree with 18 bikes on this one. This is not a ‘mates race’ its a professionally run event and in the days of technology having a man on the finish who has to press a button at exactly the right time just doesnt cut it. He might be able to do a good job at the begining but what about after 150 riders. Thoroughly enjoyed last years event, but there were a couple of “amateur” mistakes made. The whole “do I do another lap or not if I’ve been lapped” scenario really annoyed a few people I know, cos they were told not to bother, yet when the results came out, if they had have bothered with a 3rd lap, they would have gained an extra 20-25 places. The DH was spot on though last year I felt, using a less accurate timing system wouldn’t be the end of the world to anyone, and the very first and very last riders will still be clear cut. It’ll be the mass of us in the middle, being seperated by a 10th of a second here and there, that makes the difference. That and has already been said above, this is £40 we’re paying and it is supposed to be a professionally run event. If it was £10 say, I’m sure we’d all forgive a load of amateurishness, but for £40 I think it’s fair to expect a level of professionalism about the event. Thanks for the feedback. All comments welcome! With the new system it would not record to 100ths in the DH and would use the standard loggers and callers for the XC. But as they have experience with cyclocross and other roundy round cycling events this shouldn’t be a problem. My thoughts have nothing to do with the fact that I’ve had to lay out and re coil the previous time keepers equipment! Ben, you already know my feelings on this and I’m guessing that this consultation has arisen from the comments that were aired on Friday. 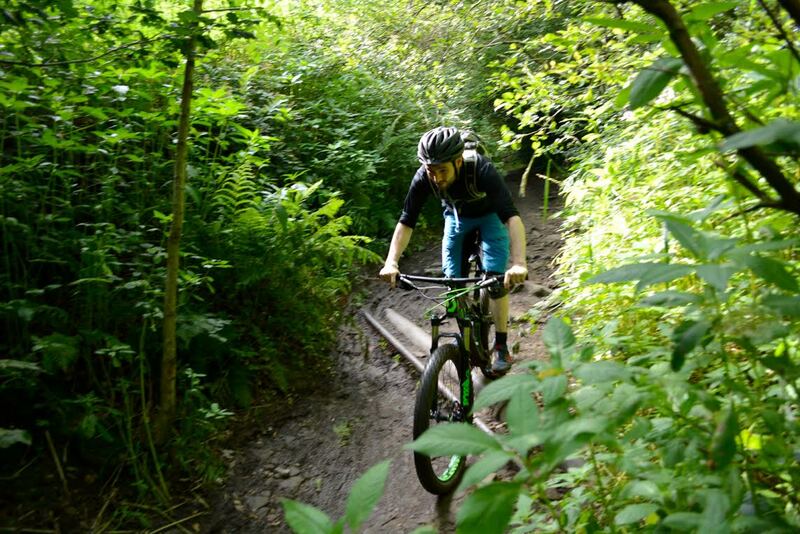 I’ve chatted with a few people about the timing and the consensus amongst them seems to be that it is a definite negative to not have proper light-beam timing for the DH section of the Weekender and that it may even put a few of them off from entering. 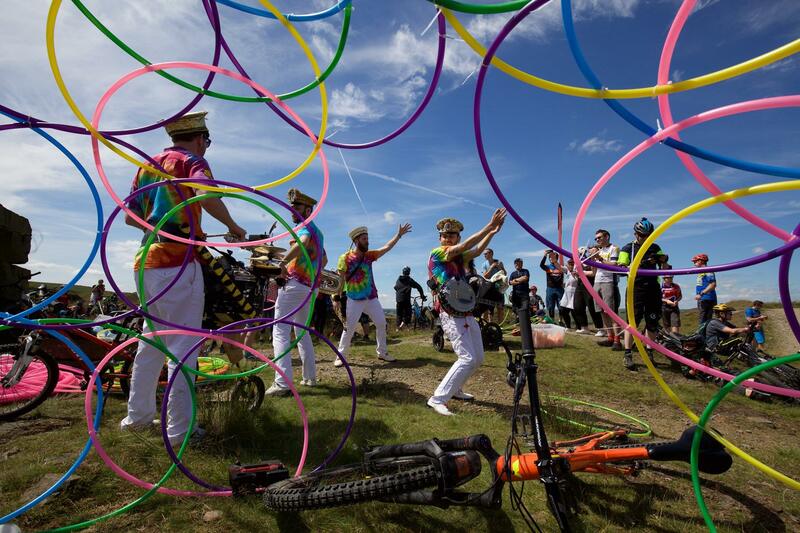 I think the push-button timing is fine for a bit of a doss in the park with your mates but for a proper DH race that we are paying to enter then it is not really good enough. I know the emphasis of the Weekender is generally relaxed but we punters are still there to race and that usually means racing each other. Bragging rights being the only real prize for the vast majority of entrants. If you look back through the previous years’ results, there are a large number of private battles that have been settled by well under two tenths of a second. For instance, last year’s DH winner won by only 0.17 seconds and I lost two places by a mere 0.03 of a second. These results were immediately accepted due to the accuracy of the light-beam timing but the push button timing would just not be accurate enough to separate. The lack of live timing and not finding out your own time until everyone else has finished is also not really that great. I don’t want to sound negative or obstructive and understand the cost implication of proper timing but if you’re going to run a time trial event then you need accurate timing to make it worth it for the people paying. The Tap timing will be more than adequate for the XC side of things as your position at the finish is the point. I’m fairly certain that on the day itself, people will be able to see their time almost instantly. All your other comments are fair enough and will be discussed. As mentioned above, it’s ultimately a cost-saving decision. We’d like to have light-beam timing as much as anyone. But if we do go for light-beam timing, looking at the current Weekender balance-sheet, something else will have to give (car park security, first aid). Well I can see the point of the racers who race all the time apparently, I have never raced or been timed before. And I’m only racing 5 buddies really. So as long as I don’t come last in that group or finish on the face brake, am not arsed. Gutted I couldn’t make Friday, cos my mates couldn’t either. A bit of cheeky practice would have been helpful. Any more than 1 lap round in the cross country race and am gonna be faster on a bus. So you know where am coming from. Lasers are cool though. Would they be blue ones or red? For my tuppence-worth, a tenth or two won’t bother me on the downhill (but then that’s not my forte and a sundial would probably be accurate enough – I understand others’ frustrations though). As mentioned above, what I found frustrating last year was the ambiguity over whether to do another lap. I made up a load of places on the XC but stopped after two circuits having been lapped (as instructed at the start). Then rumours about three laps for everyone started circulating. The timers didn’t know the answer, and a few minutes after I finished, I asked Chipps and he said “if you want to do another lap, feel free”. Not good enough, really. When the results came out I was well down. I know it’s a chilled out event but that was frustrating. All the contestants want is clarity. I agree with Dave – security would probably be at the top of my list – I was there on Friday at the dry run and there were several people just wandering about drinking/riding motorbikes etc (I have never really seen this at any other trail centre and can only assume that it is due to the close proximity to a town) I would imagine that this event would attract others – due to presence of lots of expensive kit and potentially empty tents etc. Ref the timing – I think that the system that was tested on Friday would suffice and would provide the results people are looking for – I suppose it is a sign of the times that the laser timing system is being discussed – the economic down turn has affected everything and I can understand entirely why it would be benificial to drop it. I must admit I would prefer all of my (and everyone elses) kit and bikes were safe than have them nicked by some low life! Any chance of a bodged middle ground? E.g. laptop/webcam pointing at the finish line, with a time stamp on the footage, then when someone finishes you can go back to the exact frame they cross the line to get the time. Not sure how practical (or possible) that is for the number of people, but might be good enough without needing professional timing. We have 24hr security on site all through the weekend and the Police make regular visits up to see through the weekend too. The security has been concentrated on the car park at the bottom of the hill, where competitor’s vehicles are parked but we can talk to them and try and arrange some patrols of the campsite. Here’s a link to some pictures from the day.